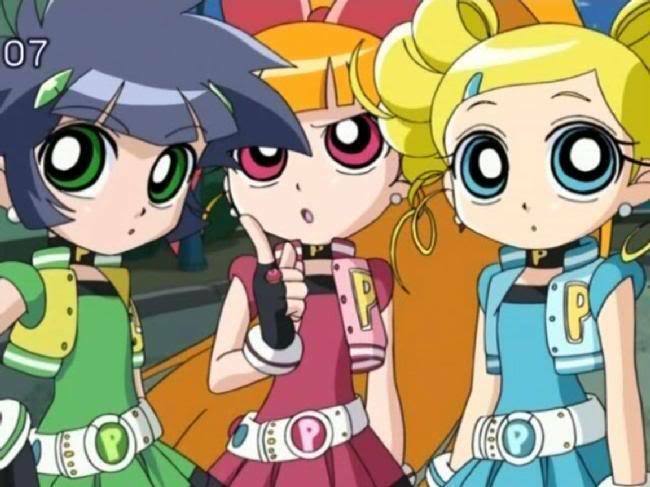 PPGZ. . Wallpaper and background images in the powerpuff girls Z club tagged: powerpuff girls z buttercup blossom bubbles. It's like Blossom's shushing them for no reason, so Bubbles & Buttercup are looking at the audience like "Huh?"